Bronx, NY -- State Senator José M. Serrano and Congressman José E. Serrano today (Friday February 25th)honored outstanding local leaders in their annual celebration of Black History Month. The honorees were Vanessa L. Gibson, New York State Assemblywoman for the 77th District; Leroy "Archie" Archible, Community Activist and KoreanWar Veteran; Dorothy DeSuzia, Former President and Board Member of the Concourse Village Apartments; and Demetrius McCord, Deputy Executive Director of the Bronx Community Pride Center. Each honoree received a Congressional Record Statement and a New York State Senate Proclamation. The event also featured a performance by Harlem African Burial Ground Task Force member Christine Campbell, entitled "Tribute to Our Ancestors." The performance honored the Harlem African Burial Ground, which residents and community leaders fear might be lost or defiled due to ongoing work expanding the Willis Avenue bridge and a plan, to begin in 2015, to entirely rebuild the bus depot at that location. "As we experience difficult times, both around the world and right here in our own neighborhoods, it is an honor to acknowledge these outstanding civic leaders, who inspire our communities to meet challenges head on and to thrive in the face of adversity," said Senator Serrano. "The contributions made by Assemblywoman Gibson, Mr. Archible, Ms. DeSuzia, and Mr. McCord, should be celebrated, not just once a year, but serve as a daily example of dedication to service and to building stronger neighborhoods, and a stronger New York." 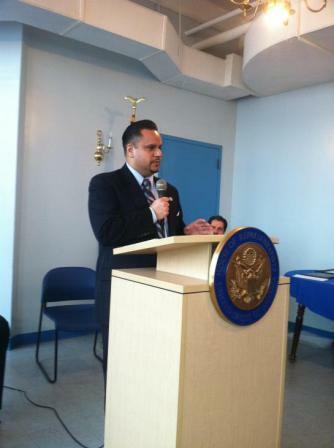 "I relish the chance to recognize these fantastic Bronx leaders," said Congressman Serrano. "As we celebrate the contributions of black Americans to our nation and culture this month, it was fitting that we pay tribute to the contributions of local leaders doing their part to uplift the community. Our small tribute to their work is a token of what our community owes them for all that they have done. Our nation was built not just by the national leaders you read about in books but also by the people who diligently built local communities and helped those in need. We have fine examples of those sort of people here with us today." Labels: "Christine Campbell", "Demetrius McCord", "Dorothy DeSuzia", "Leroy Archible", "NYS Senator Serrano", "NYS Senator Venessa Gibson", "US Congressman Jose E. Serrano"
Please visit Senator Serrano's District Office to voice your concerns, ask questions, or share your ideas on how we can continue to improve our community! Bronx Constituent Hours take place the Third Monday of each month, aside from regular office hours in Senator Serrano's District Office. Labels: "NYS Senator Serrano". "Serrano's Constituent Hours"
The Bronx is world known for its graffiti. As a real estate broker driving around the borough, I often come across legal Graffiti that needs some appreciation. Here is a piece located in Hunts Point on the corner of Barretto and Garrison. The artists ID can be deciphered from the photo below. Labels: "Bronx Graffiti", "Hunts Point"
Here is another step in the right direction by our Comptroller. Comptroller Liu is advocating for annual elections of board members for firms that NYC Pension Funds invest in. The ability of shareholders to elect board members increases shareholder oversight of the corporations. So far Capital One Financial Corp. and Adobe Systems Inc. have agreed to endorse the change. NEW YORK, NY – Comptroller John C. Liu today announced that Capital One Financial Corp. and Adobe Systems Inc. have agreed to support annual elections for their board directors in a move that will improve shareholder oversight of their operations. The NYC Pension Funds had called on the firms in a shareholder resolution to reform their annual elections. Currently, their boards protect the status quo by having directors serve staggered terms with elections at different intervals. These so-called “classified” or “staggered” boards can stifle the voices of shareholders and make it nearly impossible to replace a board majority. They can prevent takeovers that directors and management may oppose even when a majority of shareholders support the transaction. Capital One and Adobe must still obtain a majority of shareholders’ approval at their spring meetings to make the switch to annual elections for all board members. Because the firms have agreed to endorse the change at their spring meetings, the NYC Pension Funds’ withdrew its resolution from consideration. The Pension Funds also submitted the shareholder request to Alere Inc. (NYSE: ALR), Juniper Networks (NYSE: JNPR) and Neurocrine BioSciences, Inc. (NASDAQ: NBIX), which all maintain staggered boards. The request will be voted on during the firms’ spring shareholder meetings. The New York City Comptroller serves as the investment advisor to, custodian and trustee of the New York City Pension Funds. The New York City Pension Funds are the: New York City Employees’ Retirement System, Teachers’ Retirement System, New York City Police Pension Fund, New York City Fire Department Pension Fund, and Board of Education Retirement System. The New York City Pension Funds hold a combined 5,324,806 total shares in Adobe Systems (NASDAQ: ADBE), Alere Inc. (NYSE: ALR), Capital One Financial Corp. (NYSE: COF), Juniper Networks (NYSE: JNPR) and Neurocrine BioSciences, Inc. (NASDAQ: NBIX) for a combined asset value of $216,035,826.71 as of 02/22/2011. Labels: "Adobe Systems Inc.", "Capital One Financial Corporation", "NYC Comptroller Liu"
BRONX, NY – In celebration of Black History Month, State Senator Jeff Klein (D-Bronx/ Westchester) hosted a complimentary breakfast at Villa Barone Catering Hall Saturday morning. Norman I. Seabrook, President of the New York City Correction Officers’ Benevolent Association delivered the keynote address. This year's celebration also honored everyday heroes from the education, business, civic and law enforcement communities. 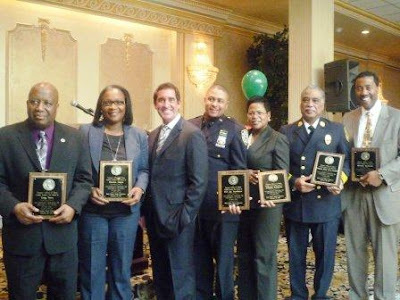 Honorees included: Monica Major, President of District 11 Community Education Council; Gregory Perry, President of the Westchester Square Merchants Association; Yolanda Robinson, Chief of Staff to the Mayor of Mount Vernon; Officer Jay Sturdivant of the NYPD’s 49th Precinct's Community Affairs Division; and Al J. Everett, Deputy Chief of the Mount Vernon Fire Department. “It is easy to recognize the significant contributions of African-Americans to the rich cultural fabric of our communities. African Americans have played a significant role in shaping both our national history and our magnificent city - whether in the classroom, on the beat, running businesses or in their dedication to public service and safety. It has been my great privilege to work with these exemplary members of our community that I consider everyday heroes - committed to working tirelessly for the benefit of us all,” said Senator Jeff Klein (D-Bronx/ Westchester). "I am honored to join Senator Klein and distinguished leaders from our communities in the Bronx to celebrate not just Black History month, but Black future everyday moving forward. We're proud to support those individuals who work diligently every day and who make countless sacrifices to make a positive difference in the lives of all of us no matter where they come from," said Norman I. Seabrook, President of the New York City Correction Officers' Benevolent Association. In addition, honorees and members of the community enjoyed a special live performance by the Trinity Baptist Church Choir. Norman I. Seabrook is President of the New York City Correction Officers’ Benevolent Association, which is the largest municipal jail union in the nation and second largest law enforcement union in New York City. President Seabrook was elected in 1995 by an overwhelming margin and achieved unprecedented accomplishments on behalf of Corrections Officers during his first term in office. He was re-elected in 1999, 2004 and 2008. President Seabrook has received many honors and prestigious appointments for his advocacy on behalf of men and women in civil service nationwide. He is a graduate of Empire State College and a life-long resident of the Bronx. Monica Major, a life-long Bronx resident and education advocate, has served on the District 11 Community Education Council for four years, including two as President. She was the chairperson of the Student Achievement Committee and a member of the Zoning Committee. During her tenure, District 11 has successfully moved to a middle school choice district. Major serves on the DOE Panel for Educational Policy. She is a graduate of Baruch College and the proud mother of two children. Gregory Perry is the President of the Westchester Square Merchants Association and former President of the Business Network International Platinum Chapter. Perry attended City College of New York where he received a Bachelor of Science degree in Education with a concentration in Health. His academic teaching tenure has spanned over three decades, educating young men and women on the college level. Perry is the proud owner of Crown Trophy in the Bronx. Yolanda Robinson is currently the Chief of Staff for the City of Mount Vernon. She is in charge of day-to-day operations of the city. During her tenure as Chief of Staff, Robinson has worked tirelessly to enhance efficiency, technology, safety and cost cutting measures at City Hall. Robinson has twenty years of public/ government relations and broadcasting experience. She served as Deputy Chief of Staff for NYS Senator Andrea Stewart-Cousins, publicist for Westchester County Board of Legislators and former District Attorney Jeanine Pirro. Yolanda was also the first African American Reporter/ Anchor for News 12 Westchester. Officer Jay Sturdivant has served as a police officer with the NYPD for over a decade and is no stranger to the 49th Precinct, having worked in the Commands Housing developments since 2003. In March of 2010, Officer Sturdivant was appointed to Community Affairs Officer. Sturdivant is the first African American in the history of the 49th Precinct to hold this position. While serving in this capacity, he worked as a community liaison in the public housing developments which included Pelham Parkway Houses, Eastchester Gardens, Parkside Houses and 2440 Boston Road, a senior citizen development. Al J. Everett is the Deputy Chief of the Mount Vernon Fire Department. Everett has been involved in politics from an early age when his grandmother had him working as a member of the Junior NAACP handing out literature for candidates in the 1960 Presidential Election. In 1980, he became a member of the Mount Vernon Fire Department. Everett recalled during his first month on the job being told by someone that they had never seen a black firefighter. It was at that moment Al decided to turn things around. He became a member of the Vulcan Society of Westchester, a group of black firefighters dedicated to increasing the number of all minorities in the fire service. He has held every position on the executive board of the Vulcans of Westchester, increasing minority representation in Mount Vernon’s Fire Department from five to seventy. He is a lifetime member of the NAACP and a former Vice President of the Mount Vernon School’s Board of Education. Labels: " Monica Major", "Al J. Everett", "Gregory Perry", "Jay Sturdivant", "NYC COBA President Norman Seabrook", "NYS Senator Klein", "Villa Barone", "Yolanda Robinson"
Below is one of the best videos ever made on "Bronx Pride". It was produced by Bronxnet and shown during the Bronx Borough Presidents Annual Address last week. Besides the the hair chilling music track that combines opera and rap, it hosts dozens of Bronxites like Al Pacino, Ralph Lauren, Doris Roberts, Grand Master Mele Mel, Supreme Court Judge Sonia Sotomayor and even Edgar Allen Poe. For anyone with roots in the Bronx who is sick and tired of negative depictions and maligning comments about our beloved Borough, I guarantee it will fill you with Bronx Pride. Labels: ", "Al Pacino", "Bronx Borough President Ruben Diaz Jr., "Grand Master Mele Mel", "Ralf Lauren", "Supreme Court Judge Sonia Sotomayor"
It's been a month and about 18,000 articles read on the Boogiedowner since Lou and Erin turned the site over to me. Part of the "master plan" is to introduce additional bloggers increasing coverage, experiences and opinions represented. The first additional “BoogieDowner blogger” is a precocious young Latina born and raised in the Bronx. Her name is Desiree. An award wining playwright, she is a success story of a mixed NYC public and private school education and her mother that raised her. After attending PS31 for kindergarten, she attended Trevor Day School in Manhattan and then entered Bronx High School of Science in the ninth grade. She is currently a second semester freshman at Bard Early College at Simon's Rock. She is majoring in Political Science and Economics, however her favorite class is Chinese language. I am sure she will make waves of her own as she matures. I am also certain that she will one day do great things for the Bronx. She will be handling much of the youth related issues, however her first post relates to her major of Political Science. It is with great pride that I introduce one of the stellar youth of our borough as a member of the BoogieDowner team. Please read her post below and view this great video sent by one of our readers. The only issue I have with the rap commentary is the rapper wearing a Red Sox cap during segments of the video. Please do forgive him for this and enjoy his commentary regardless. Below is the first hip hop video made at the Madison, Wisconsin demonstrations. Based on the information I currently have, they are protesting a proposal by the new Republican governor, Scott Walker, that disables much of the bargaining power of the Wisconsin public employee unions and simultaneously imposes pay cuts on state workers by rerouting more of their paychecks towards health care and pension plans. Although no one has been arrested yet, tension is high at the capitol as supporters flood in. At last check the demonstrators numbered over 70,000. This protest will affect us all, including here in the Bronx. It is an exemplary display of democracy in action. People need to continue to peacefully demonstrate for lasting reform and exercise their rights as American citizens to have a say in their governance. All the best to those in Wisconsin. You are not alone. As Black History Month comes to an end I wanted to post the following written by Martin Luther King Jr. He wrote this letter during his incarceration in a Birmingham Jail back in 1963. I have often heard parts of the speech or read parts of the letter, but never took the time to read it thoroughly. Thank you, to the reader that sent the e-mail. Labels: "Letter from a Birmingham Jail", "Martin Luther King Jr."
As a NYS Licensed Associate Real Estate Broker, I hope to not only occasionally post Bronx Real Estate for sale or rent, but to also share my knowledge about the industry and local market trends using real life examples or situations. The information will be “front line” practical knowledge gained from hands on experiences. I hope the posts will be concise, easy to understand, and interesting. I hope they are informative for potential buyers and those just interested in keeping up with various real estate related topics. Today’s topic is the much discussed SHORT SALE. Any realty office in today’s market is inundated with clients calling up seeking the infamous “Short Sale”. A short sale is when the present owner, or seller, goes into contract with a buyer on the contingency that the bank will allow the property to be sold for less than the outstanding mortgage balance. There are enough variables to deal with in any real estate transaction, so each contingency is another variable that could “break” a deal. The most common contingency in any real estate contracts is the mortgage contingency which is often enough of a hurdle with how banks are lending money in today’s market. Having an additional contingency were a bank accepts less than the mortgage amount for the sale of a property is another issue to deal with that demands time, patience and finesse. The bureaucracy involved in many of these deals is endless. To be honest it’s often not worth the hassle to someone unless they have a place to live and can, “play the game”, with the bank. Because of the uncertainty and the time factor, these deals are often pursued by professional “flippers” who don’t really need a house to live in and can, “play the game”, with the banks. In addition, the banks do love the all cash buyers, again favoring the “flipper”, since many of the short sales need work before the property is livable and therefore not mortgable in their present condition. The 203K loan is the solution, but an individual needs to be aware of this type of loan and which banks provide them. In order to actually close on a short sale the deal must be “seasoned” and the buyer or agent must know what the bank will accept based on norms, trends and guidelines in the banking industry. This is where a good realtor or broker can make the difference. In any event, with the banking industry in its present condition, nothing is guaranteed. 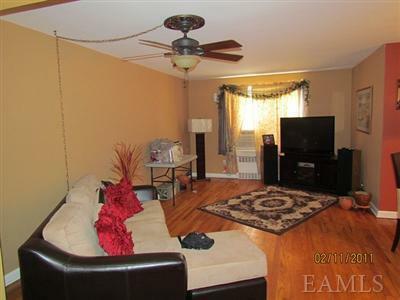 The property below is a real life example of a one family home in Throggs Neck that is “seasoned” and ready to go. The property sold for $420,000 on 10/24/2006. The mortgage on the property at the time of sale was $398,500. The present asking by the bank is $325,000 in “as is” condition. The house needs about $40,000 to $50,000 to restore it to it’s prime condition. At the present full asking of $325,000 with a 5% interest rate over 30 years and no money down, the monthly mortgage would be approximately $1,750 per month. First floor: Foyer, living room, kitchen leading to small patio. Patio needs to be replaced. Third floor: Finished pitched roof living space, good for an extra bedroom room or office. Basement: Above ground finished basement including one bedroom, living room, kitchen, laundry room and boiler room. The above property is listed with another agent who represents the seller. If interested in the property and you want me to represent you as a buyers agent please me on my cell @ (845) 304-5745 or e-mail me at; bronxrealestate@yahoo.com. 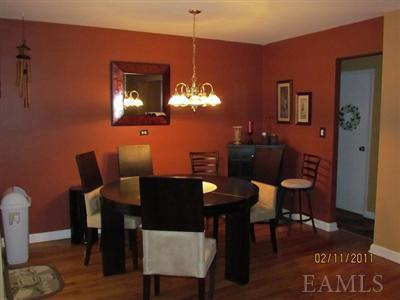 As mentioned the property is “seasoned” and ready to go with a $325,000 asking. My hope is that the opportunity is picked up by someone looking for a good deal instead of an investor looking to flip the property. The commission will be paid by the seller even though I will be exclusively representing the buyer. Labels: "10465", "Bronx Real Estate", "Gregory Tsougranis", "Short Sales"
Looks like Christmas came early this year. For those interested in moving into 325 E 201st, Erin and Lou's old co-op apartment building in the Bronx, another 2BR/1Bath just came on the market. It will be available to preview within the next few days. I am not the listing agent but those interested in having me as their buyers agent in the transaction please do reach out to me on my cell # at (845) 304-5745, or e-mail me at bronxrealesate@yahoo. As mentioned in earlier posts this is one of the strongest co-op buildings in the Bronx, with low monthly maintenance fees and high owner occupancy. The unit is priced properly, selling below the original purchase price and within latest comparable sale prices. It should be available for preview in the next few days. Below are some bullet points, photos and the description, as advertised by the listing agent. Additional sale points include it being an elevator building allowing pets. "Spacious two bedroom. Move in ready. Recently upgraded. Hardwood floors. Ample closet space. Pet friendly building. On-site laundry. Underground parking (wait list). 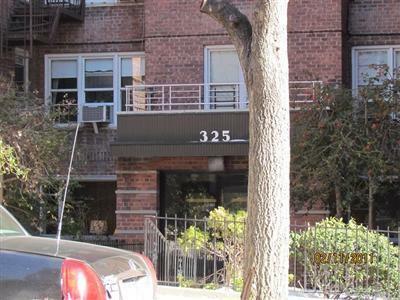 Close to transportation, schools, shopping, the Bronx Botanical Gardens, the Bronx Zoo, Fordham University, Lehman College, Bronx High School of Science and Dewitt Clinton High School." Many of you have heard about the anti-abortion billboard that was posted in Chelsea recently. I believe there are two questions here. The first issue relates to abortion and its place in our society? The second is whether or not the billboard was a protest against abortion within acceptable social guidelines? Abortion is a serious issue that I hope never to confront personally. I see both sides and am truly torn by the issue. The closest I ever came to first hand experience with abortion was when I was traveling in Eastern Europe during their economic crises, after the collapse of communism in the early 1990's. Due to the dysfunction in the society, at that time, I was placed in a room where abortions were carried out even though I only had an ear infection. In the center of room was an apparatus were the women would sit during their procedure. Till this day I can still feel the horrific feeling in that room that made me want to vomit. It was clear from conversations with the staff and doctor that the economic crises had caused a great spike in abortions. NYS Senator Diaz Sr. states an alarming statistic below claiming 49 percent of NYC Hispanic and 59 percent of NYC Black pregnancies are aborted. I find those statistics alarming and wonder how much of those abortions were due to economic realities Bronx women find themselves in, much like the women in Eastern Europe faced at that time? The individual is always responsible for their actions, however if this is truly a genocide what is our society doing to prevent women who find themselves in economic situations that I am sure heavily weigh on their decision to have an abortion? What social polices can we put in place to economically empower women, or the family structure they depend upon once blessed with a child. Is abortion solely a moral question? Below are two press releases representing pro and anti abortion voices in our City. The first is a quote from NYC Council Speaker Quinn. The Second is from NYS Senator Diaz Sr. Please do review and let me know via your comments what the Bronx thinks about both questions raised. Labels: "Abortion", "NYC Councilwoman Christine C. Quinn", "NYS Senator Diaz Sr."
Please see the event flyer and letter to the public from CITG's President Mr. Nick Sala. It should be a great night out and don't forget about the great restaurants we have on City Island. I hope you all are well and have been keeping warm this very cold winter. I am pleased to say that tonight night, the City Island Theater Group kicks off its 12th season, with the classic thriller NIGHT WATCH by Lucille Fletcher. For the past 6 weeks, the cast and crew have been hard at work rehearsing this gripping suspenseful psycho-thriller that tells the story of Elaine, a young heiress who sees the bodies of murdered victims in the window of the building directly across for her apartment. Is this all in her mind? Is someone trying to scare her? Is there a vicious murderer roaming her neighborhood? This production is guaranteed to take the audience on a gripping ride as they witness her spiraling descent into madness and constant fear. The ending promises to leave theatergoers on the edge. 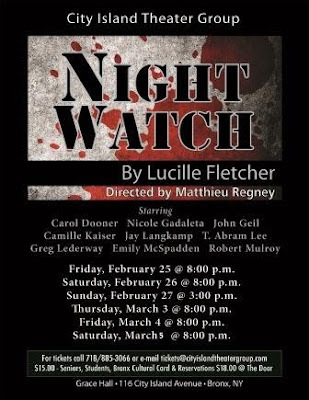 There are only six performances of NIGHT WATCH! Call 718/885-3066 or e-mail tickets@cityislandtheatergroup.com now to reserve your tickets. Our performance dates are February 25, 26, March 3, 4, 5 at 8:00 p.m. and February 27 at 3:00 p.m. Don’t miss this haunting roller coaster of a thriller! On a final note, as we enter our 12th season of bringing quality affordable theater to City Island, I would like to take this opportunity to thank you all for your support. As you know, a lot of effort, time and hard work goes into making these shows happen, but we could not do this without you, the audience. We appreciate your support and we look forward to performing for you. Thank you for making us a part of your lives and for gathering in our theater to be a part of a unique, memorable experience that cannot be repeated. That is the beauty of the theater. I look forward to seeing you all at the theater. Labels: "City Island Theatre Group", "Nick Sala", "Night Watch" "Lucille Fletcher"
With Black History Month coming to an end here is one more Bronx politician doing his part before its conclusion. Please see press release below. BRONX, NY - In celebration of Black History Month, State Senator Jeff Klein (D- Bronx/ Westchester) will host a complimentary breakfast at Villa Barone Catering Hall to honor everyday heroes. President of the New York City Correction Officers' Benevolent Association, Norman I. Seabrook will deliver the keynote address. In addition, Klein will be honoring distinguished members of the civic, business and law enforcement community. Honorees and members of the community will enjoy a live performance by the Trinity Baptist Church Choir. Labels: "New York City Correction Officers' Benevolent Association", "Norman I. Seabrook", "NYS Senator Klein", "Trinity Baptist Church"
Photo Gallery of Today’s 2011 State of the Borough Address by Bronx Brought President Ruben Diaz Jr.
Bronx Borough President Ruben Diaz Jr. came out like a rock star today to address a full house at DeWitt Clinton High School. The audience for his 2011 State of the Borough Address included political figures, business men and women, community activists and everyday people curious to see what the Borough President had to say. It was a strong show of solidarity and pride by our Borough with a great introduction video prepared by Bronxnet showing various stars born or raised in the Bronx. Please see below photos taken from the event. Labels: "Assemblyman Carl Heastie", "Assemblywoman Venessa Gibson", "Borough President Ruben Diaz Jr.", "Council Speaker C. Quinn", "Marlene Cintron", "Michael Max Knobbe", "NYC Councilman Cabrera"
Here is more on the debate related to Charter schools in our community. The following was sent by NYC Councilman Koppel’s office. Councilman Koppel is fighting against the application process he believes is unfair to immigrants and other non-English speaking learners, as well as increased input by the community. Disturbed by what he heard at the DOE’s presentation on February 16th about the new charter high schools on the Kennedy Campus, Council Member Oliver Koppell met with the Deputy Chancellor Marc Sternberg on February 22nd to reiterate his concerns that the new schools will enroll few, if any, of the increasing numbers of new immigrants and other English language learners in the district. The meeting was also attended by Elizabeth Ritter from State Senator Adriano Espaillat’s office. Koppell pointed out the success the E.L.L.I.S. Preparatory Academy on the Kennedy Campus has had with newly arrived immigrants and called for its expansion. He was heartened to hear that this is something the DOE is considering for next year, although he questioned whether there would be room in the building with the new schools coming in. Koppell also expressed his objections to the process by which the new schools were selected to replace Kennedy, saying that there was little public input and that the community was essentially presented with a foregone conclusion. “If there were broader input, the DOE might have been aware of the need for expanded educational opportunities for English language learners in our district prior to the selection of new schools,” Koppell said. He hoped to speak with Chancellor Kathy Black later this week to make his views known about the selection process. Labels: :Chartrer Schools", "Deputy Chancellor Marc Sternberg", "E.L.L.I.S. Preparatory Acedemy", "Elizabeth Ritter", "NYC Councilman Koppel", "State Senator Adriano Espaillat"
Here is a press release sent by Local 32BJ about the pending strike by Bronx building workers. Will it come down to the building workers paying for the housing mess created by others? Are the workers making between $15 and $17 an hour, the ones who should be stripped of benefits? Are the building owners at a crucial tipping point that somehow needs to be addressed? How will rents and maintenance fees be affected? This is a serious issue that needs to be examined and resolved. If not, over 3,000 Bronx apartment building workers and over 1,000 residential buildings in our borough alone will be affected by this potential strike. New York, NY— As their contract’s expiration approaches, Bronx building workers voted Wednesday to authorize a strike, if necessary, to protect good jobs throughout the borough. Failure to reach a new contract agreement by the March 15th deadline could lead to a strike of more than 3,000 Bronx apartment building workers at over 1,000 residential buildings. Tonight’s vote came one week after workers rejected an unfair contract proposal by the Bronx Realty Advisory Board (BRAB), a real estate industry association representing Bronx building owners. The BRAB is seeking to strip away much needed benefits from these hard working men and women. Contract negotiations between 32BJ SEIU and BRAB have been underway since February 8th, and several issues, including family health care and retirement savings, remain outstanding. The contract covers building superintendents, janitors, handypersons, porters, firepersons, doormen, elevator operators and garbage handlers. Workers are looking to maintain their benefits as well as moderate, cost of living wage increases. Under the current contract, the average Bronx apartment building workers’ wages range from $15.53/hr in the South Bronx to $17.07/hr in Riverdale, and they receive employer-paid family health care, pension and training in addition to vacation and sick leave. Failure to reach an agreement, before the March 15th expiration, could lead to a strike directly affecting nearly 250,000 New Yorkers living in over 1,000 apartment, condo and co-op buildings in the Bronx. With more than 70,000 members in New York, 32BJ is the largest private sector union in the state. For more information, visit www.standwithbuildingworkers.org. Labels: "32BJ", "Brad", "Bronx Building Workers", "Bronx Realty Adcvisory Board", "Health Care", "Kyle Bragg", "Pensions", "SEIU", "training", "Vacation and Sick leave"
Bronx Borough President Ruben Diaz Jr. will deliver his State of the Borough Address 2011 at the De Witt Clinton High School Campus on Thursday, February 24, 2011 at 11:30 am. At the ceremony the Borough President will share the many accomplishment of the last year and will outline his goals for the coming year. Labels: "Bronx Borough President Ruben Diaz Jr.", "De Witt Clinton High School"
Racism in Long Island? Latina charges that a fellow firefighter deliberately did not respond to her calls during a fire. Meet Latino soccer dads in Pennsylvania. See our bilingual, multimedia report. After being railroaded into an 18-year prison sentence, Fernando Bermudez is suing New York City. From the Manhattan DA’s office? The sound of coquis. Speaking of tree frogs indigenous to the Island of Enchantment... Does Puerto Rico do it better? In case you missed: Carmelo Anthony’s Red Hook. Labels: "El Diario", "Fernando Bermundez", "Luis Ramirez", "Manhattan DA's office"
Here is a press release from NYC Councilman Vacca's office. Please see the information below related to NYC Council Speaker Quinn's attendance at tomorrow's CB11 monthly meeting. Tomorrow evening, Council Member James Vacca and Community Board 11 will welcome Council Speaker Christine C. Quinn to the Board’s monthly meeting, where Quinn will announce a package of legislation designed to address local quality of life and small business issues. Quinn will also take questions from Board 11 members. The visit is part of a citywide tour Quinn is conducting to discuss the priorities outlined in her “State of the City” address on February 15. Labels: "Council Speaker Quinn", "NYC Councilman James Vacca", "Quality of Life Issues", "Small Business Issues", "Vice Chair Anthony Vitaliano", District Manager Jeremy Warneke"
BoogieDowner Street Beat Photo: What's a Greek Doing in the Latin American Motorcycle Association? Here is a fun post about a Bronx biker I found filling up at a local gas station. I was not only intrigued by the ride but also the fact that he had both a Greek and Puerto Rican flag on the back. I approached him in Greek and jokingly asked "What's a Greek doing in the Latin American Motorcycle Association?” He responded; "My wife; the love of my life is Puerto Rican. I am lucky enough to have her and be welcomed as a member in the group". We then did the secret Hellenic handshake, that only Greeks know, and he confessed his real name is in fact Vangelis not Angelo. I posted the organization web site below, as well as the introduction from their President as found on their home page. I did see “Easy Rider” growing up and do appreciate their commitment to Democratic ideals as posted on the first page of their web site. The Latin American Motorcycle Association (L.A.M.A) was founded in 1977 in Chicago’s notorious Humboldt Park neighborhood. From it’s inception L.A.M.A. was intended as a Moto-Touring club with truly Democratic ideas. A lone chapter until the first chapter was started in Miami in 1995, LAMA became a National Association when the first national president was elected in 1996. In 1999 LAMA became an International Association with chapters in Puerto Rico, Mexico, U.S.A. & Cuba. Presently LAMA has additional chapters in Uruguay, Venezuela, Argentina, Spain & Australia. LAMA was intended as the club of the 21st century and is a work in Progress, to be continued by the flow and ideas of new members in near and far off lands! LAMA is a club without borders. We have evolved into an “International Humanist Association”. We accept working people from all walks of life regardless of nationality, race, color, religion, social class, gender, age, brand of motorcycle, etc. We believe that it is more important to be human than to be Latin, Asian, black, white, etc! LAMA is one of the most respected clubs in the world. As a LAMA member there are doors opened to you in every city where we have chapters. To know LAMA is to visit the other chapters, especially chapters in other nations. LAMA is recognized as one of the most active long distance riding clubs in the world. Our women (DAMAS DE LAMA) accompany us on their own motorcycles, riding X-treme distances, which most Bikers find way too far and others find a challenge of endurance. LAMA by-laws were compiled through 30 years of experiences. It was not intended so that we carry a dictionary of rules to have few short hours of fun. On the other hand, there are times when difficulties occur, and that’s when they come in handy. WELCOME TO LAMA! YOU HAVE JUST JOINED ONE OF THE BEST CLUBS IN THE WORLD. WE CHALLENGE YOU TO HELP US IMPROVE IT. Labels: "LAMA", "Latin American Motercycle Association"
The following was sent to me by Dr. Mark Naison. In a time when our society needs informed and articulate leaders, it is an honor to have him as a BoogieDown reader and contributor. Please do read. The success of the Wisconsin movement to protect collective bargaining rights of government workers, and of similar movements around the country, depends on the revival of a concept that has been out of favor in the United States for many years- the concept of “Solidarity” Republican lawmakers like Scott Walker were clearly expecting that this concept was dormant when they decided to attack bargaining rights of public employees. They were gambling that workers in the private sector who had lower wages, less generous benefits, and less job security than government workers would want to see them cut down to size in a Recession. They were expecting that envy, rather than Solidarity, would govern the attitudes of people hit hard by the Recession. Their experience, and their ideology, suggested that working class Americans would be more interested in lowering their own tax rates then protecting the bargaining rights of their unionized brothers and sisters. But the response of to the Wisconsin bill, and to similar bills in Ohio and Indiana, seems to have caught Republican lawmakers by surprise. Firefighters and police officers, both exempt from the elimination of bargaining rights the Walker Bill, both turned out in force to support the protests as the Wisconsin Capital. So did high schools students, who came to support their teachers, and University students, who feared the Governors next step would be steep tuition rises and the elimination of bargaining rights for graduate students. When you couple this local response with the support of organized labor nationally, the result was the largest labor protest in a state in recent American history, with 70,000 people turning out the first weekend of the demonstration. To understand this, it helps to look back at American History. For the last one hundred years, Solidarity has been more notable in its absence than its presence in the American working class. For the first thirty years of the 20th Century, corporations were able to keep the largest and most fast growing industries in the country- steel, automobile, electronics, ground transportation- almost entirely union free by playing off workers against one another by race, religion, and national origin and convincing the majority of the white protestant population in the nation that organized labor was a foreign implant. However, all that changed during the Great Depression. When banks failed and the economy imploded, leaving nearly a third of the labor force unemployed by 1933, and another third working part time, working class Americans, seeing that that hardship hit people of all racial and religious backgrounds, and in every region of the country, began to listen to labor organizers, and representatives of radical parties, who argued that individual effort could no longer assure prosperity and that workers could only improve their lives by organizing together. These organizers made the argument that ALL workers would benefit when employed workers were able to form strong unions and they urged unemployed people to support unionization drives in major industries, rather than be recruited by employers to be strike breakers and anti-union vigilantes. In the two most successful strikes of the Depression Era, the Minneapolis Teamsters Strike of 1934, which led to the unionization of a sizable share of overland truck traffic, and the Flint Sit down strikes of `1936-37 which led to the unionization of General Motors and US Steel, both of which involved pitched battles between strikers, police and Citizens Committees organized by employers, the unemployed either remained neutral or took the side of the strikers. As a result, employers not only were unable to recruit strikebreakers, they were unable, even with the police on their side, to control the streets surrounding the plants and warehouses that were on strike assuring that the protests went on for weeks, and months, until the employers finally agreed to union recognition. There were other conditions that led to the success of these strikes, such as the refusal of the Minnesota and Michigan governors to us the National Guard to remove workers from factories and warehouses, but the support of the unemployed who had nothing to gain, in the short run, from the success of these movements, was absolutely critical. Somehow, a critical mass of the unemployed, along with workers outside the affected industries, had come to believe in all workers would benefit when some workers achieved union recognition. They had become caught up in “union fever” the idea that only by organizing unions could workers attain dignity and respect as well as a decent standard of living and they fought side by side in the streets with striking workers until these communal battles were won. Were they justified in this belief, or had they just succumbed to the UnAmerican propaganda of Communists and Socialists? Fast forward to the 1950’s. Thirty five percent of the American labor force is unionized, including most of those working in steel, auto, electronics and transportation. The people who built these unions not only had the highest standard of living in the world, they lived in one of the most equal advanced nations on the planet, where the top one percent of the population controlled 9 percent of national income, as opposed to 23 percent today. In New York City, where unions were particularly powerful, you had an amazing network of public universities, which charged no tuition, public hospitals, schools with free after school centers and great music and sports programs, and museums and zoos which charged no admission. The evidence is incontrovertible- the rise of organized labor, from the mid 1930’s to the mid 1950’s, coincided with a significant improvement in the standard of living of all American workers, whether or not they were in unions. It is in this context that the Wisconsin protests put forward a message that, to everyone’s surprise, touches a chord. Maybe working Americans have had enough of blaming unions and government for what has happened to them. Maybe they are starting to think that the calls for “sacrifice” that politicians of both parties are making should be directed toward the very wealthy, who are the only people who have not been hurt during the crisis. And maybe they are starting to hear a message that says that working Americans had better overcome their differences and start to fight for their rights or their hopes for a life of comfort and security will be gone forever. Solidarity, here in America, in 2011? Look around you, in a million years, would you have expected there to be 70,000 people massed outside the Wisconsin State Capitol demanding protection of collective bargaining rights for government workers?. Why, the very thought is as improbable as Black students sitting in at lunch counters in 35 cities throughout the South. History can move in mysterious ways. And Solidarity may be making a comeback. Labels: "Dr. Mark Naison", "labor Unions", "Rich Klimmer", "Wisconsin Protests", "Worker Solidarity"